Move over Manchester United. 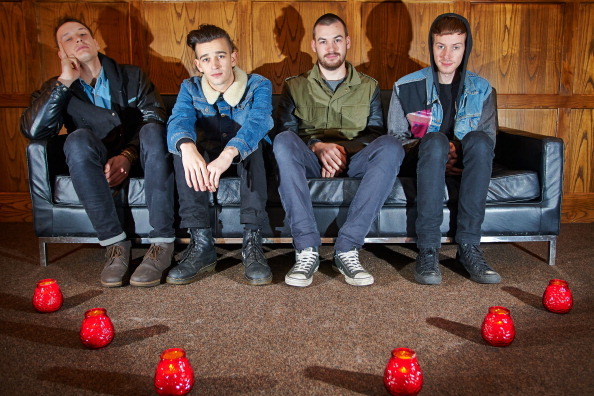 The 1975 is another product out of Manchester, and their entire album may be one of the best to emerge out of 2013. Manchester has a lot more to offer than a famous soccer team. This band also calls it home, and their magnetic energy is causing an excited reaction within music lovers everywhere. The self-titled album debuted last year, but their seamless ability to connect with each other and the music is refreshing even now. The album contains tracks arousing every emotion, whether it’s through the playful lyrics or the sensational rhythms. If you like Vampire Weekend or Passion Pit, these may be your new boys. Their honest electro-pop/rock music has a versatility similar to pop of the ’80s. This trait has found a way into music in our day and made it hip again. Their album, and the song, “Settle Down,” possesses a youthful vigor that is infectious. Who else is infectious? Michael Jackson. “Settle Down” is about the obsession Matthew Healy, lead singer and guitarist of the band, has for the pop legend. The lyrics tell a tale of the nonsensical attraction between lovers and the chaos that ensues. It’ll be hard to resist getting up out of your seat and not cracking a smile. The cheerful guitar riffs accompanied by the pulsating drums make for a song you just want to get lost in. This is the gateway track, in our opinion, that can please even the pickiest of listeners. It mimics the feeling of being confused but undeniably attracted to a situation that is bad for you. So it’s a guilty pleasure that you can have no regrets about by listening to it. It’s like having the joy of carbs after the new year without the calories, right? Start the new year right with a band that we’re willing to wager may become more of a radio presence in the upcoming year. From the well-known track “Chocolate” to “Heart Out” or “Girls,” even purchasing the album isn’t a bad idea. But check out our pick “Settle Down” below! And then air out your thoughts on whether you could hear a little MJ flair in there.